New Windows icon (Get Windows 10) will appear in system tray that allows your reserve copy of Windows 10 and also availability to check if your PC system and app is compatible with Windows 10. 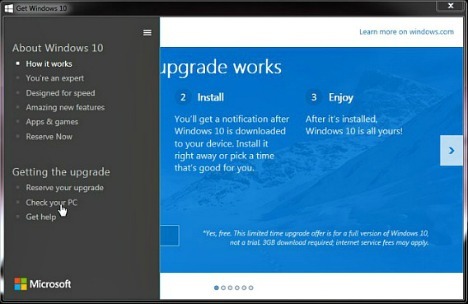 However, for those who have all the updates installed and still can’t see the Get Windows 10 app appear in the system tray, then you may have to wait it out a bit as Microsoft rolls out the notifications for everyone. If you’re still hesitancy about whether your PC ready for Microsoft latest operating system – Windows 10, here how to check it. 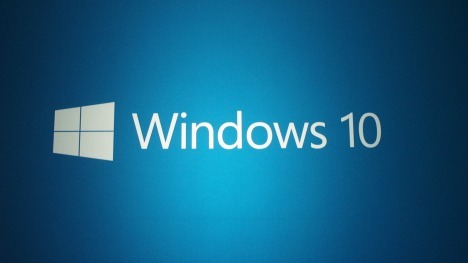 To begin, click the Get Windows 10 icon in the system tray to launch it. Click the three horizontal lines at the upper-left corner. Now you should be presented with a contextual menu listing a few options. 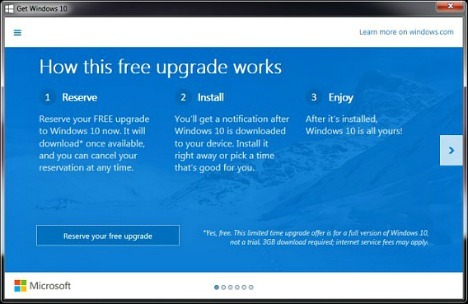 Under “Getting the upgrade,” click on ‘Check your PC’. It will take some little time to diagnosis and check. 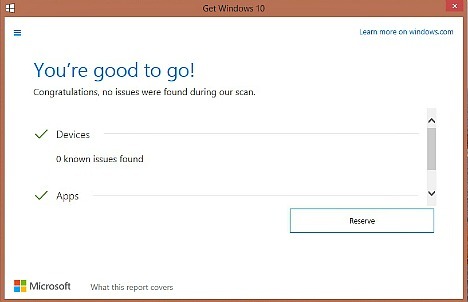 If your PC is ready for the upgrade, the program will show ‘You’re good to go!’ message. Otherwise, the results will separated into two sections; devices which lists incompatible hardware and Apps which will list incompatible apps. In this case, you can update driver or patch to fix those issues or uninstall app that unsupported Windows 10. You can learn more about compatibility issues at the Microsoft website here.